From the spread of new forms of witch-hunting to the worldwide escalation of the number of women sexually abused, even murdered on a daily basis, evidence is mounting that a war is being waged against women. What are its motivations? What is the logic behind this phenomenon? 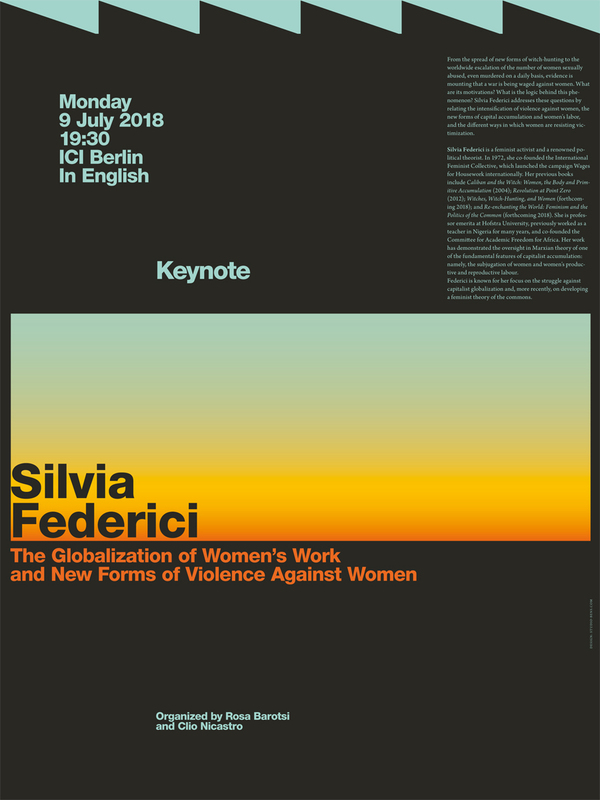 Silvia Federici addresses these questions by relating the intensification of violence against women, the new forms of capital accumulation and women’s labor, and the different ways in which women are resisting victimization. Silvia Federici is a feminist activist and a renowned political theorist. In 1972, she co-founded the International Feminist Collective, which launched the campaign Wages for Housework internationally. Her previous books include Caliban and the Witch: Women, the Body and Primitive Accumulation (2004); Revolution at Point Zero (2012); Witches, Witch-Hunting, and Women (forthcoming 2018); and Re-enchanting the World: Feminism and the Politics of the Common (forthcoming 2018). She is professor emerita at Hofstra University, previously worked as a teacher in Nigeria for many years, and co-founded the Committee for Academic Freedom for Africa. Her work has demonstrated the oversight in Marxian theory of one of the fundamental features of capitalist accumulation: namely, the subjugation of women and women’s productive and reproductive labour. Federici is known for her focus on the struggle against capitalist globalization and, more recently, on developing a feminist theory of the commons. The event, like all events at the ICI Berlin, is open to the public, free of charge. There is no registration required. The audience is presumed to consent to a possible recording on the part of the ICI Berlin. If you would like to attend the event yet might require assistance, please contact Event Management. For safety reasons, venue doors will be closed when capacity limits are reached.